I expect you have seen this making the rounds lately, as whenever Real Techniques release a new brush or brush set, the beauty world sit up and notice. This set contains a brush that is exclusive to this set, as well as two others, one of which I've been meaning to get for the longest time. The set includes the following: 1. Sculpting Brush: 'features a wide, angled had specifically designed to help create defined contours'. 2. 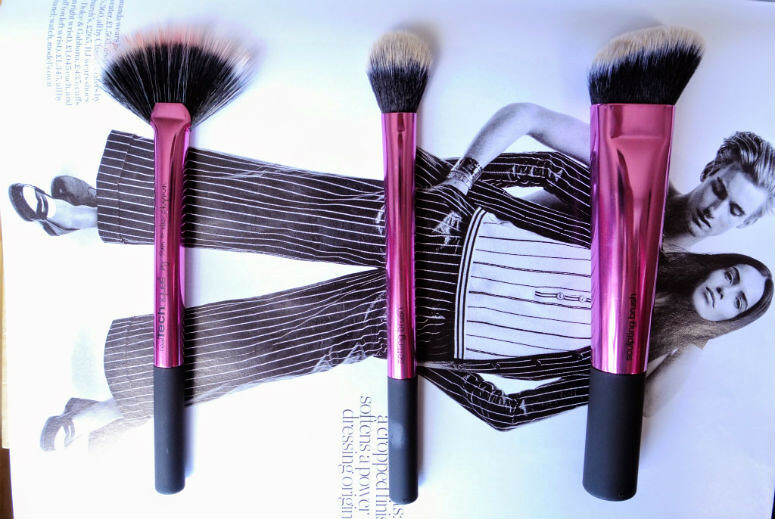 Fan Brush: exclusive to this set, it 'softly sweeps on powders and remove excess makeup' 3. 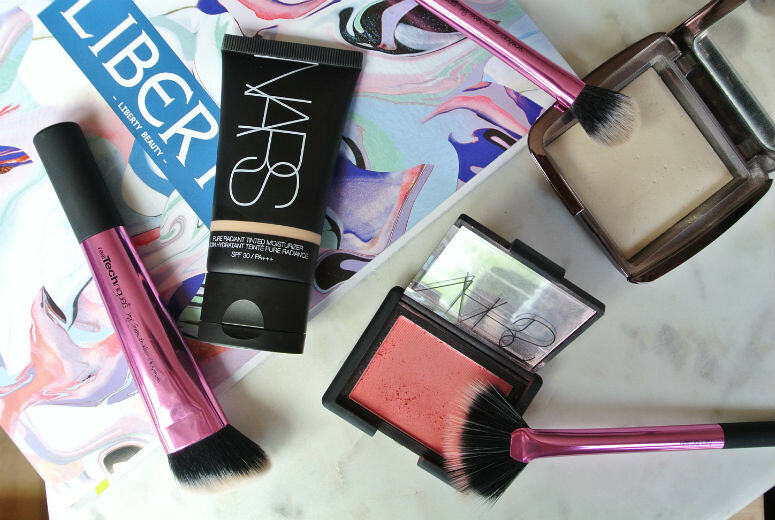 Setting Brush: the key to completing any look with a controlled dusting of powder or highlighter', and the brush that's been on my wish-list for a while. The Sculpting Set al come in the standard Real Techniques presentation format, with the main handle a certain colour dependent on its function, and a rubberised handle end. The one difference is that the main handle colour is metallicised (is this a word? If it isn't, it should be). While I'm glad I got this set because it means I got the Setting Brush at last, I'm a little sad because I still haven't really worked out how the other two fit in as 'sculpting' brushes. The Sculpting Brush is far too big and wide to do a proper contour on my face. Also, I found it a bit hard to use for sculpting. The head is slightly rounded so it only picks up colour on the centre part of the brush unless you bend it about, and then the bristles of this very dense head bend further out to the side that has longer bristles. I personally think it would do better for buffing in foundations and base products. As for the Fan Brush, I had high hopes for it, and decided to pair it with one of my most pigmented blushes. Unfortunately it seemed to cause fallout in the pan which I've never had before, and spread the colour in too wide an area on my face for comfort. I will try experimenting with this blush to see if it will go well with any other blushes or highlighters I have. The Setting Brush however is everything I hoped it would be. With a compact head, it means I can use this to apply powder I concentrated areas, which is really great if I'm trying for a glowy-look all over, but need a bit of help on my more oily areas. If you are in the market for another base brush and a really good setting brush then this set is worth getting, or if you're desperate to try the exclusive Fan Brush. If you're only looking to get one out of the regular two then I would say you are better off buying them individually. It is still great value for money however if you just want to add to your brush collection, as when I got the set, it was £20.99, but Supedrugs have since (a week later, *cries*) reduced the price to £13.99.